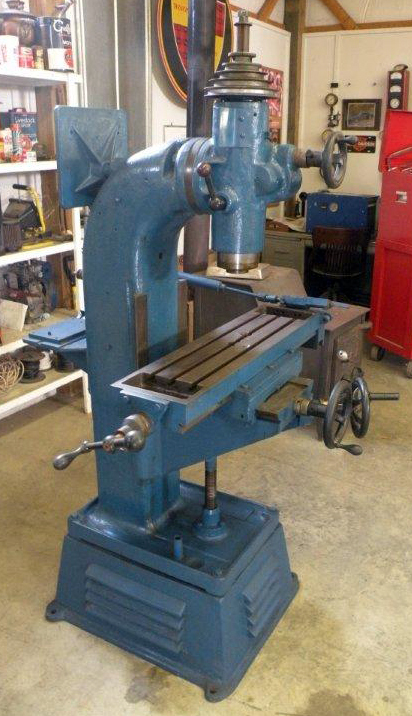 Manufactured by the Jackson Machine and Tool Company of Jackson, Michigan, the Jackson No. 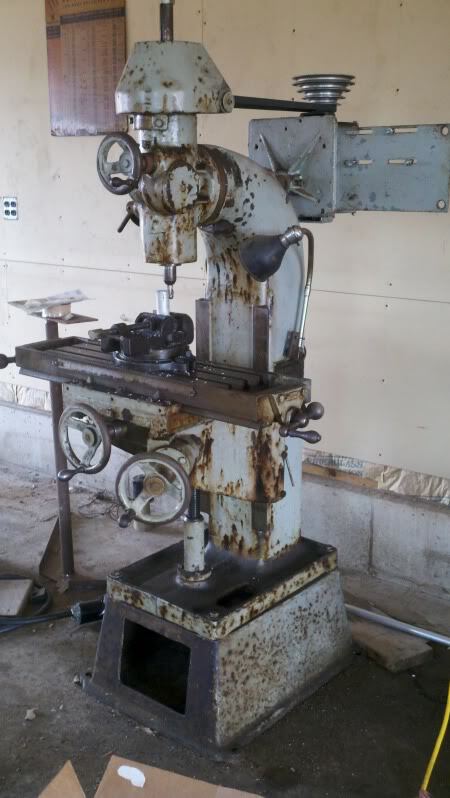 2 vertical milling machine almost certainly dates from the late 1930s into the 1940s. 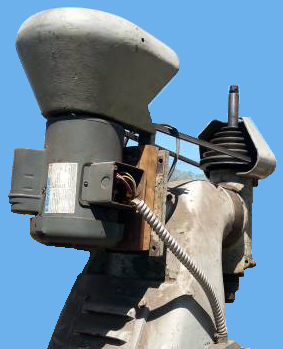 Looking a little like an enlarged and beefed-up "Univertical", the Jackson was intended for use in production processes and employment in general machine and repair shops. Standing just 69 inches high and weighing just under one-half ton, the No. 2 was of a straightforward, economical-to-produce design and sold, in its standard form, without table power feed - though this useful facility, using a carden shaft and universal joints, was listed as an extra. 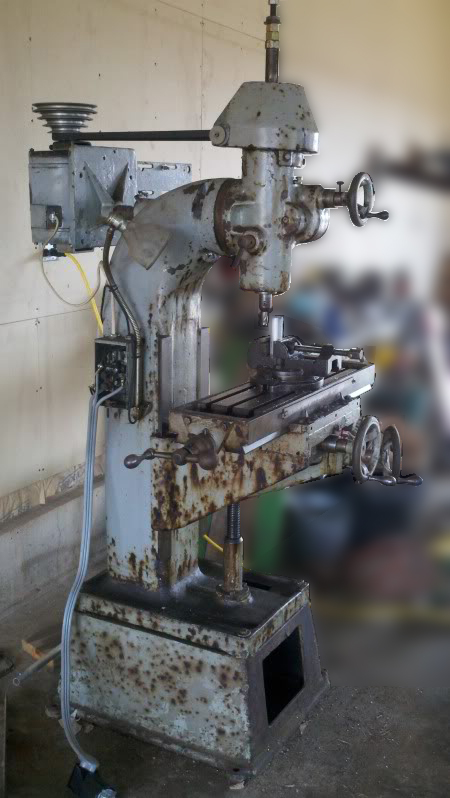 Arranged like those on many contemporary drill presses, the drive system was simple yet efficient, the motor being mounted on a platform held on a steel bar that socketed into the back of the main column. The arrangement that allowed both the belt tension to be adjusted - by sliding the bar in and out - and the motor swung in line with the head as it was tilted through its range of 120°each side of vertical (though degree graduations only extended to 90 in each direction). The drive used a V-belt that ran over 5-step pulleys, this arrangement giving speeds that spanned a useful range of 200 to 3000 r.p.m. 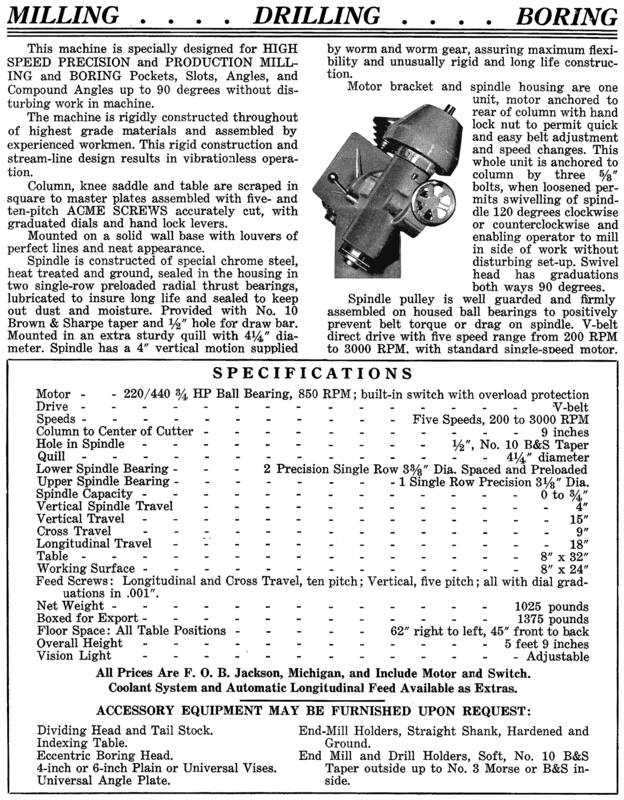 Made from what the makers described as a "special chrome steel heated treated and ground" the spindle ran in a pair of single-row, preloaded, radial thrust bearings and carried a No.10 Brown & Sharp taper on its nose. 4.5-inches in diameter, the quill had 4.5 inches of travel under the control of a fine-feed handwheel working through worm and wheel gearing - a handle-operated lock being provided to secure any desired setting. Unfortunately, there was no rack-and-pinion drive fitted with a handle to give a sensitive feed (and rapid travel) when drilling. 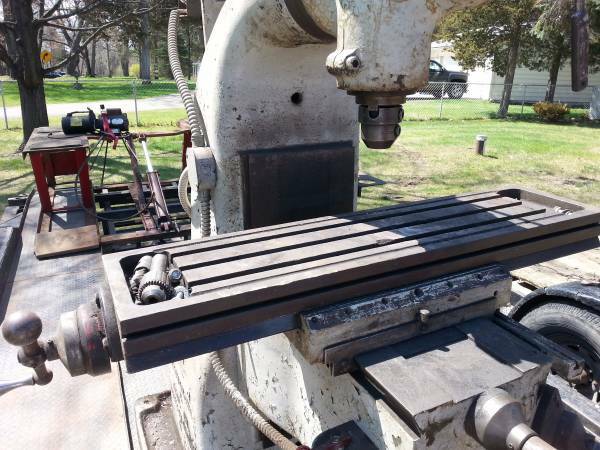 With a working surface of 8" x 24", the table was of a decent size and had travels of 18 longitudinally, 9 inches in traverse and 15 inches vertically. Sold complete with a motor, wiring and a push-button starter, the Jackson was ready to run upon delivery. 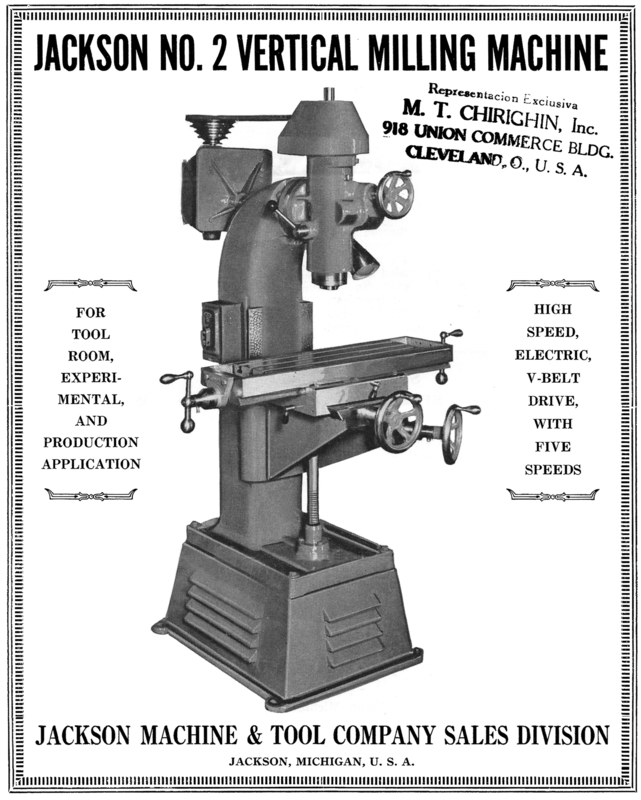 Discounting those makers who concentrated on larger, complex and heavy industrial machines (and smaller, high precision ones), other US companies from the 1930s to the 1960s who made lighter, less-expensive vertical milling machines included Blank and Buxton, Becker, Centex, Cloud, Colunbia, Crowingshield, Delta Rockwell, Duro, Millrite, Rusnock, Sheldon and Vernon. 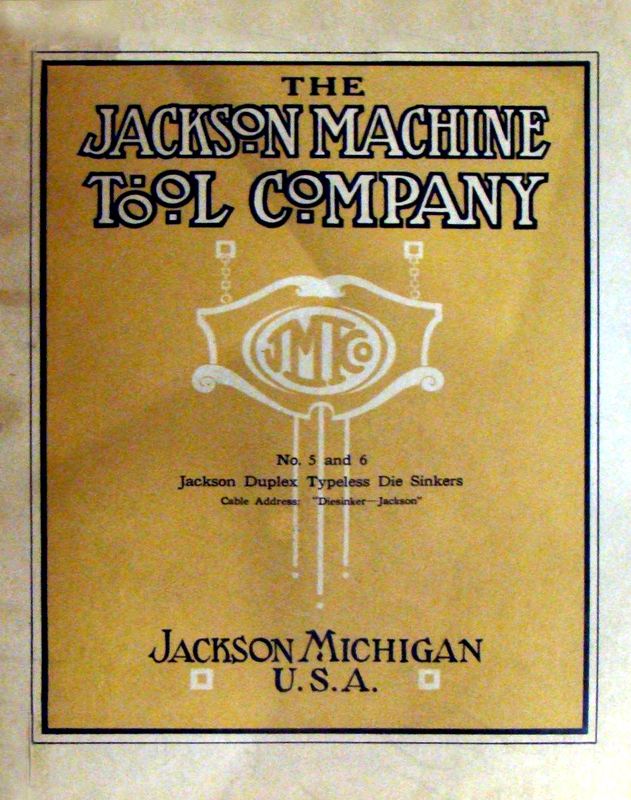 Did the Jackson Machine and Tool Co. make No.1, No. 3 and No. 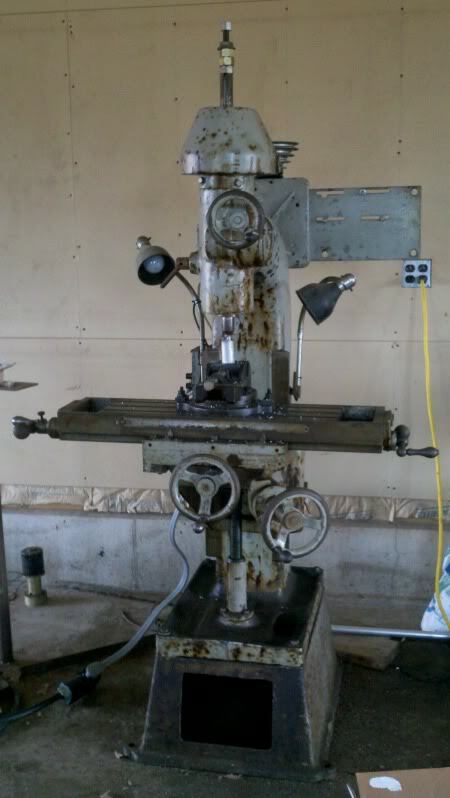 4 versions of their vertical milling machine? Unfortunately, although this is uncertain it is likely as they also manufactured, during the 1920s, a range of heavily-built die-sinking machines and perhaps one of their other advertising flyers could, one day, turn up. If you have a Jackson miller of any type, the writer would be interested to see some pictures of it to include in the Archive..